We are an independent, impartial utility broker dedicated to helping businesses with cheaper electricity and gas for businesses and ultimately, to get the best energy supply arrangements - and at no charge to our clients. Utility Savings Corporation are commercial utility consultants and energy consultants based in Norfolk, UK and we can help ANY BUSINESS on the UK mainland from the North of Scotland to the South of England! Our experienced staff will source competitive quotes from a wide range of electricity and gas suppliers. 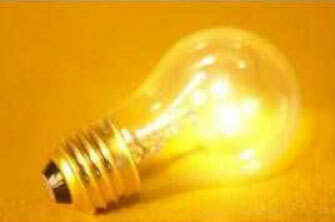 Our goal is to save you work and money with cheaper electricity and gas. We cater for all sizes of businesses from SME's (small and medium enterprises) through to industry and large multiple property customers. USC will bring market intelligence and professional industry experience to ensure you are provided with cost advantage and account support. Our service extends to all businesses including charities, churches and community organisations. We pride ourselves on our levels of customer service. Small businesses are collectively paying around half a billion pounds more each year for gas and electricity than would be the case "had competition functioned more effectively", an analysis of the profitability of UK energy firms has found. The Competition and Markets Authority (CMA) said that between 2009 and 2013 average prices offered by the "big six" companies were around 14 per cent above the "competitive level" in the SME segment. ‘This equates to SME customers paying around £500million more on an annual basis than would have been the case had competition functioned more effectively,' it said. The CMA also revealed that on average rollover tariffs for small and microbusinesses are 29% to 36% higher than retention tariffs for electricity and 25% to 28% higher for gas. Despite this, a survey of 7,000 people found more than 34% of respondents had never considered switching provider. The CMA added that this is due to a lack of awareness of what deals are available, confusing and inaccurate bills and the real and perceived difficulties of changing suppliers. 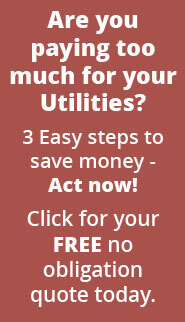 Get professional, independent and impartial advice to ensure you secure the best energy prices for your business. USC are completely independent which means they are not tied to any particular provider. They have formed good relationships with every major electricity and gas supplier in the UK to ensure you can get the most competitive contract available. They will use their expertise to contact suppliers and undertake all negotiations on your behalf providing you with a proven specialist service which can reduce your costs and take the hassle out of dealing with utilities companies. Why spend hours dealing with electricity and gas suppliers haggling over tariffs and contracts when USC can do it all for you? • FREE independent review of the available providers in your area. • FREE protection against automatic price increases with fixed term/fixed price contracts. • FREE contract monitoring to protect you against contract rollovers & out of contract rates. • FREE bill checking service. • Proven specialist service designed to save you money. Click here to download a Letter of Authority, which speeds up the switch over process by giving USC the power to handle all your energy negotiations. Simply return the letter to USC and we will take care of the rest.